While not as well-known as Lovecraft's Arkham and Innsmouth or King's 'Salem's Lot and Castle Rock, the fictional town of Oxrun Station created by Charles L. Grant was the setting for his many tales of quiet horror and dark fantasy. 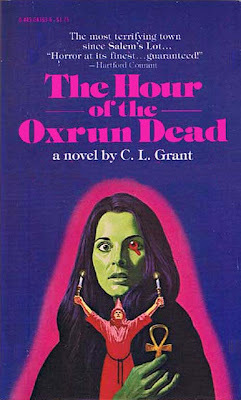 Beginning in 1979, when The Hour of the Oxrun Dead (1977) was published in paperback, the various editions of the series show an interesting evolution in the marketing of horror fiction. The first three were put out in hardcover by Doubleday, but as ever, it's only the paperbacks I'm interested in. At the top you can see the Popular Library edition with the requisite comparison to 'Salem's Lot, and with artwork that combines then-popular Gothic and occult imagery as well as the gender-free author attribution "C.L. 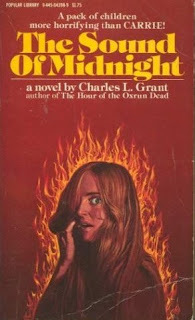 Grant," thus (I'm assuming) appealing to male and female readers alike. 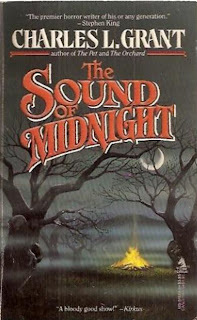 The second novel in the series, The Sound of Midnight (1978), we get a young woman on fire - flames were popular post-Audrey Rose - and another reference to a bestselling King novel. Now Charles gets his first name on the cover! 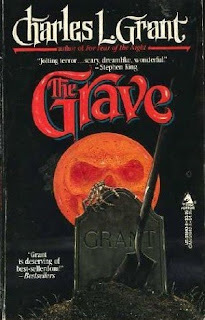 The Grave (1981) is a reductionist horror title if I ever heard one! 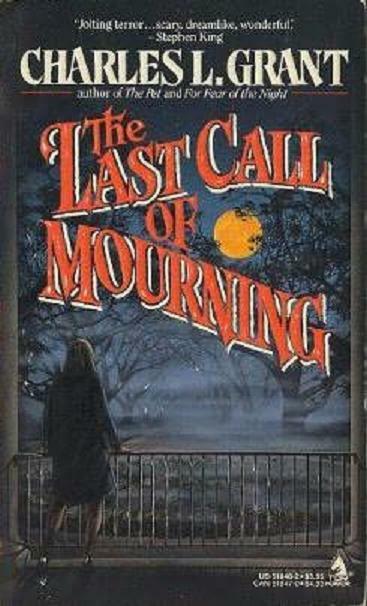 Note the name on the tombstone of the Tor edition. 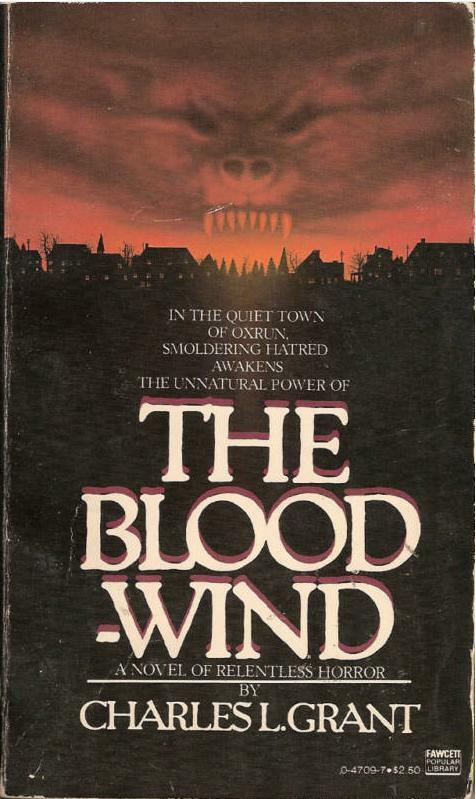 Now I dig this '82 cover for The Bloodwind: demonic face hovering over a quaint little town, quite a common image for horror paperbacks. The Tor edition is kinda cool as well, hinting at children gone missing into a creepy... well, bloodwind, I guess. Way to keep it literal! 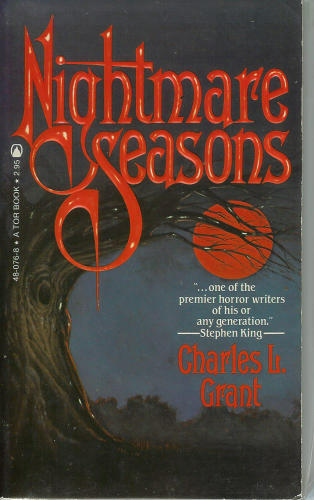 From my research it seems that Nightmare Seasons (1982) was the first Oxrun title that Tor published, though it was the sixth in series; we can assume this was the beginning of that stylized cover art. This one is actually a collection of several novellas set in Oxrun Station. 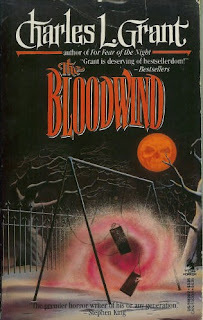 The next book was The Orchard (1986), also a collection of novellas, which I read last year and reviewed here. 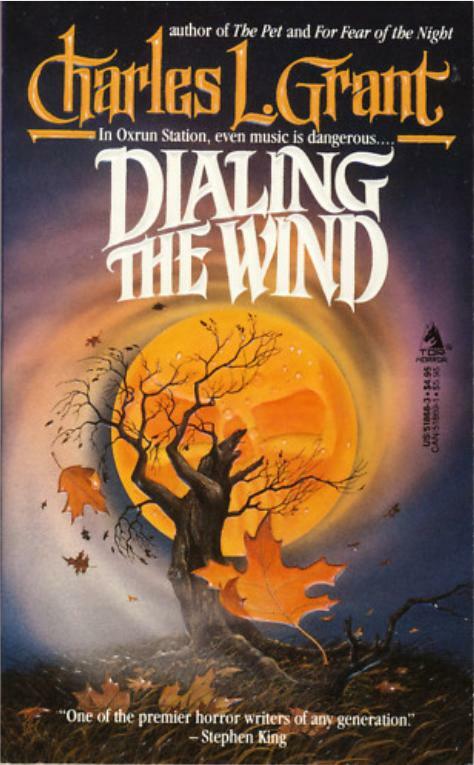 And we start to move out of the vintage horror era with the two last books in the series, Tor's Dialing the Wind (1989) and The Black Carousel (1994), the latter boasting of Grant's "X-Files" novelizations. Can anyone explain why his middle initial would be excised? These final three titles seem like a treat: Grant haunted his fictional town with the Universal Monsters! 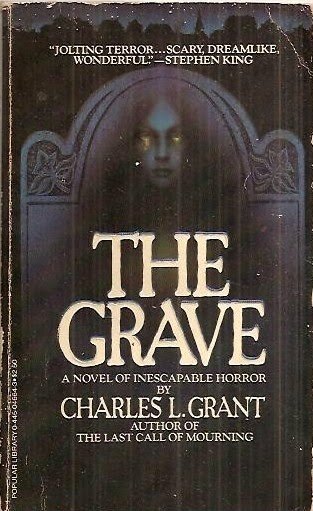 These first came out in hardcover from long-time specialty genre publisher Donald M. Grant, and then in paperback by Berkley Books. None are without a King blurb, of course. The artwork is a little on the nose for my tastes, perhaps, and Dracula doesn't look scary at all (is there perhaps a copyright on Lugosi's image?). 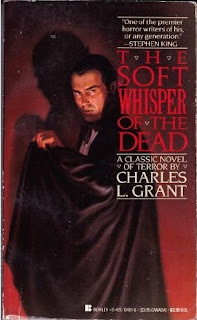 They are: The Soft Whisper of the Dead (1982/1987), The Dark Cry of the Moon (1986/1987) and The Long Night of the Grave (1986/1988). A perpetual Halloween indeed! I believe there is indeed a trademark on Lugosi's appearance as Dracula in the Universal films. 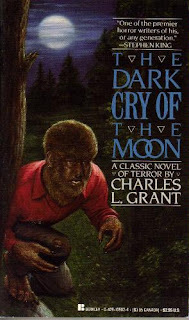 Oddly, though, the same would apply to Lon Chaney's appearance as The Wolf Man (in Jack Pierce's make up design) but that's clearly the model for the cover of The Dark Cry of the Moon. Grant's Tor edition novels win hands-down as the best of the best in cover design. Like Ramsey Campbell, however, I've yet to really get into one. Is there one you can recommend? 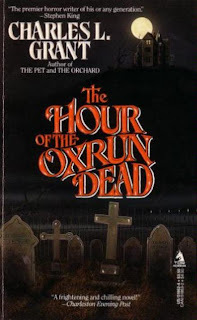 I always meant to read "The Hour of The Oxrun Dead", ever since I read "If Damon Comes" in the "Dark Descent" anthology. Sadly, I never got around to it. Also, his "Shadows" series (which he edited) were always excellent. That's one thing the best Tor covers had going for them, what could be called a sense of expectancy. 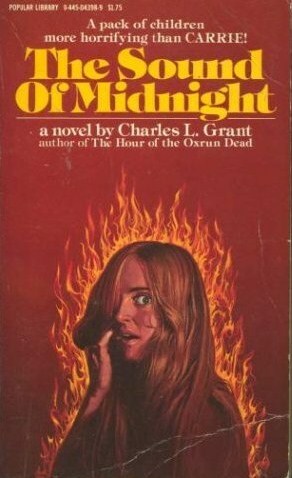 That whole idea of what you don't see often being more intriguing, not to mention creepier, than what you do--especially when what you do see is typically the kind of straightforward, literal, bland rendering of character and plot detail you get in lesser efforts like that first cover there. The moods they evoked meshed particularly well with the ominous, eerie quality of Grant's storytelling, a nice combination of complementary styles at work. 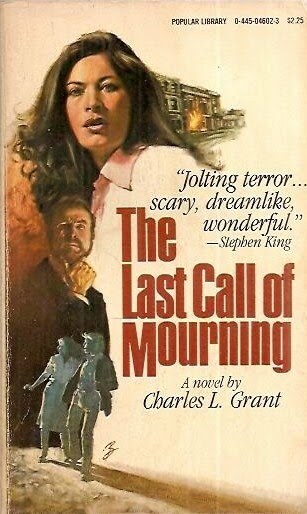 A little strange that constant-blurber King praised both Last Call of Mourning and Bloodwind in exactly the same words (plus identical ellipses), but I suppose it just proves that he really, really meant it. 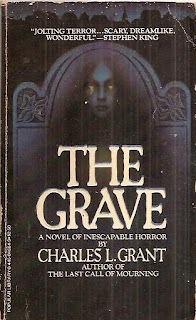 Charles Grant produced some great work during his day. I was a fan. 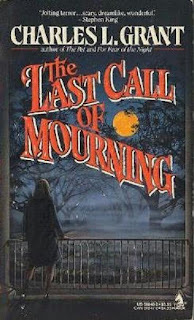 I enjoyed everything from his "quiet horror" Oxrun Station novels to his forays into the bigger, thicker "mainstream" horror novels of the early '80s like THE NESTLING & NIGHT SONGS to his brief stint on THE X-FILES novels to his terrific, short lived BLACK OAK five book series. All of it highly enjoyable stuff. But, for someone as prolific as he was, he was remarkably consistent. 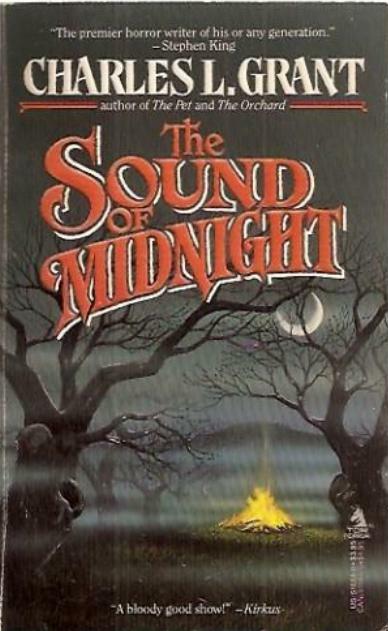 Personally, some of my most favorite novels by him are the afore-mentioned THE NESTLING & NIGHT SONGS, THE GRAVE & his sadly incomplete BLACK OAK series. Which was a sort of "old school" '70s-ish paperback series about a team of occult investigators that was just hitting it's stride with #5, but which ceased publication after some contract issues with the publisher & Grant's worsening health, which led to his rather premature passing three or four years ago. Yeah, come to think about it, who exactly made the decision that it was time for all the horror fiction authors to drop their middle enitials all of a sudden? Honestly, I think it began with Koontz. 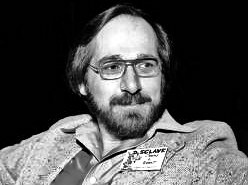 When he started to publish as plain old Dean Koontz rather than as Dean R. Koontz as he did for so long, others ( or, FAR more likely their publishers & agents... ) followed suit. Thus, Charles L. Grant became Charles Grant & Robert R. McCammon "just" Robert McCammon. He'll always be Charles L. Grant to me. 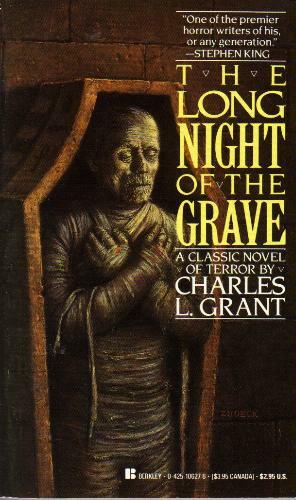 For me, Grant's very best work might have been in his short stories. 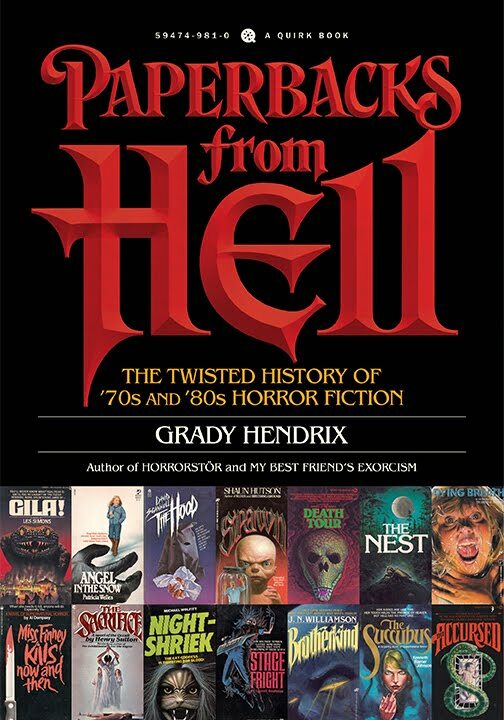 Tales from the Nightshade collected a bunch of good ones, and others of his can be found in anthologies and magazines from the '80s, books like Dark Forces, volumes of The Year's Best Horror Stories, Prime Evil, etc. 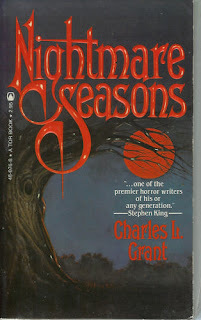 His linked-novella books like The Orchard, Black Carousel, and Nightmare Seasons were all good creepy-as-hell fun, too. 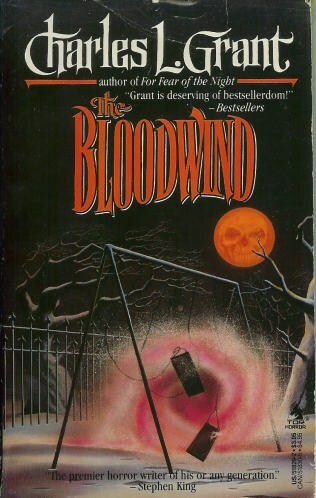 Of course, Koontz and McCammon, perfect examples of how the middle initial was dropped as they got more popular. Did it confuse readers?! Yeah, Grant was all over short story anthologies in the day, editing them and contributing as well. The anthology I'm finishing up today had another of his low-key tales. I hadn't really thought about the social marketing nuances for these covers until you brought it up. Nice analysis. 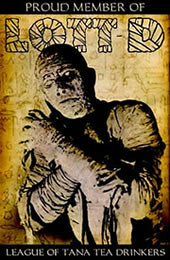 I really like those Universal Monster covers. Just may add them to my collection. 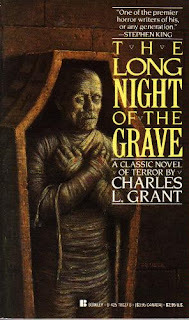 I just finished reading Grant's Universal horror-inspired trilogy today. Fun stuff, all in all (though I must say that "The Dark Cry of the Moon" was sort of a slump in the otherwise amusing trio). Thanks to Will's previous entry on it, I just started reading "The Orchard" today. 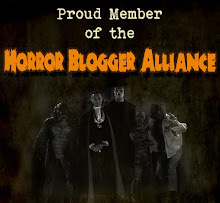 I must say, I'm becoming quite the Charles L. Grant fan thanks to this blog. Great stuff, as always. Hey Alejandro, I'm happy to help! Let me know what you think of THE ORCHARD. I had high hopes for Hour of the Oxrun Dead, but I found the writing too pedestrian to be effectively creepy. Adrien, I'm not all that surprised; I believe it's his first novel and he got better as he wrote more. Is it recommended to read the Oxrun novels in order? I just grabbed Hour of the Oxrun Dead, Bloodwind and The Orchard from a used store. Wondering if I should fill in the gaps or if its okay to jump around. Mike, I couldn't say as I've only read THE ORCHARD and various short stories. I can't however imagine Grant would write a serial type of story; I'd bet they're linked more by atmosphere and place than by chronology. I am in love with the Tor oxrun station novella covers. Any idea on who did those? His novellas are by far his best work. 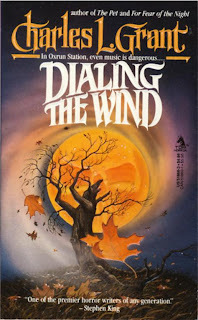 Read "The Orchard," "Nightmare Seasons," and "Dialing the Wind" in that order. 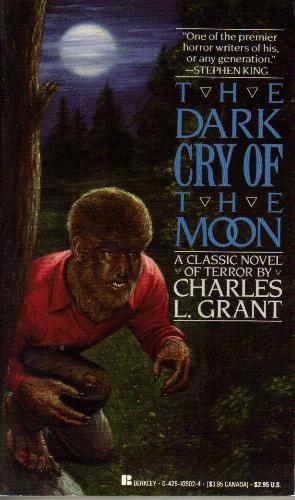 Tim--some of the Tor covers have a David Mann as illustrator; I can only assume he did all those '80s reprints! 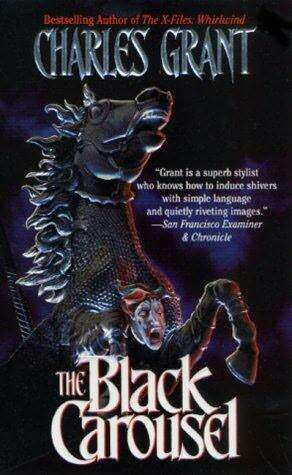 I've read Nightmare Seasons and The Black Carousel, both of which I've enjoyed. I'm reading through The Hour of the Oxrun Dead now, and I have to agree with an earlier commenter about its lower quality. It reads like a Nancy Drew. Two characters regularly flirt, but it's just quipping back and forth, lots of stupid jokes. Hopefully it will improve, but I can testify that, though I'm not particularly enjoying his first novel, his later work gets much better.